When you think of a station wagon, it’s likely you picture the old-school woody wagons with rear-facing seats in the trunk or something like the huge, old Buick Roadmaster. It’s because of this stereotypical wagon caricature that station wagons aren’t exactly the “It” car of the moment in the United States—but Buick might be changing that. We first heard rumors of a Buick Regal-based station wagon way back in June. Then, in July, we heard that Buick dealers were shown plans for three new versions of the Regal, including a wagon. 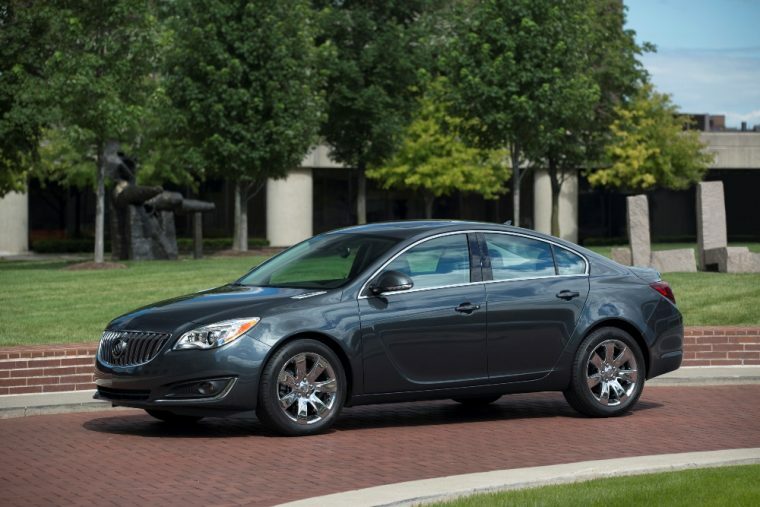 Now, we have conformation that a wagon version of the next-generation Buick Regal is making its way closer to production. This announcement was made at the Buick-GMC annual dealer in Austin Texas. It was announced alongside the 2018 Enclave, the 2018 Regal and Regal GS, and the 2018 GMC Terrain. Recently, Buick filed trademarks for “Tourx” and “Regal Tourx,” which will likely be the name for this wagon. Rumors have it that the vehicle will be based on the next-generation Opel Insignia Sports Tourer, but on GM’s E2XX platform, which is used in the newest Chevrolet Malibu. A recent report from Autoblog says that Buick is currently talking with customers and running focus groups for a new car—a car that would compete with the Acura TSX wagon and an unnamed Volvo wagon. We’re gonna guess it’s not going to be a sports car. Carscoops reached out to a Buick spokesperson, who said: “By the end of 2017, we’ll be revealing three more new models for a total of seven new Buicks in just 24 months.” Hopefully, one of those models will be the Regal wagon.